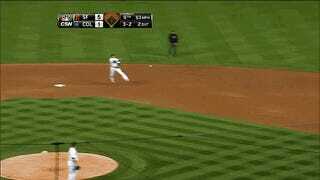 The Giants had a four-run lead in the top of the ninth, which makes it all the more frustrating that reliever Santiago Casilla hurt himself while trying to get a useless infield single. For some reason, Casilla tried to beat out the throw to first. He didn't, instead tripping over himself and hurting his right leg. Casilla had to be carried off of the field, and his unnecessary hustle could send him to the DL. San Francisco manager Bruce Bochy said he didn't urge Casilla to give 100%, and actually told the pitcher not to swing at all in his plate appearance. Bochy also said he would tell all his pitchers to jog to first base from now on.